One never knows when this specialized hitch might be needed. 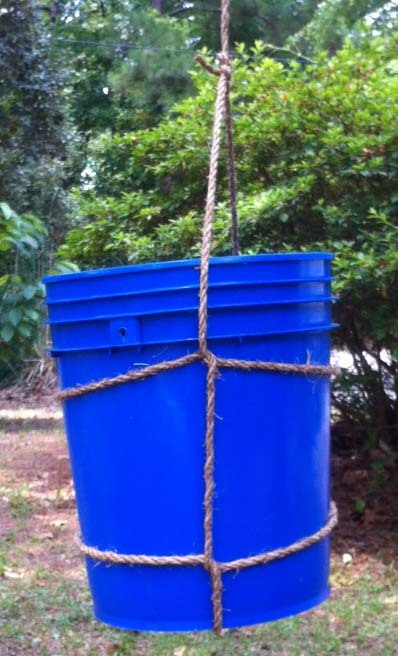 The barrel hitch can come in handy for hoisting up or suspending a bucket or other container that has no attached bail or handle. Forming the hitch is a very easy operation stemming from the tying of a simple overhand knot. 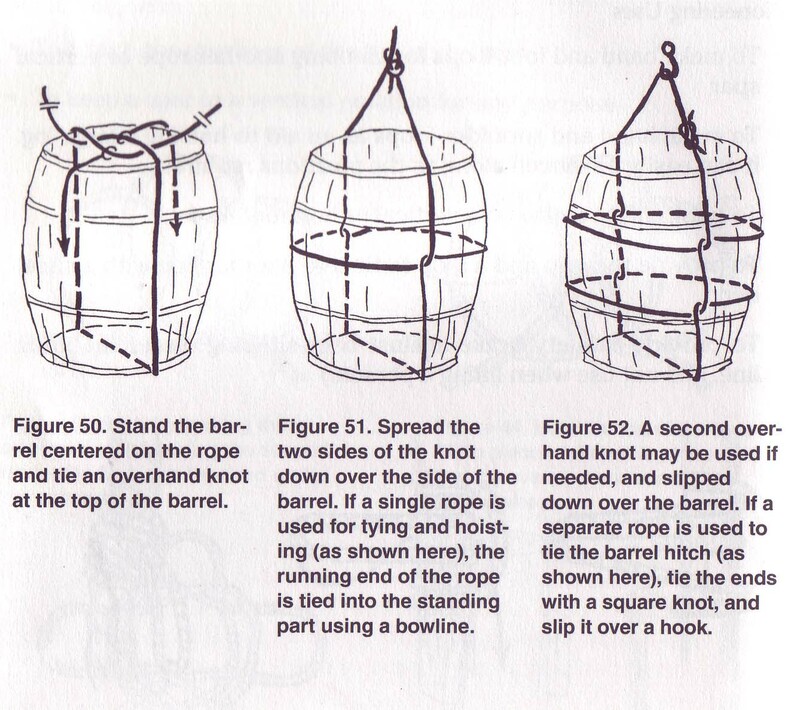 A barrel presents an awkward shape when you’re trying to tie a rope to it to lift it. If the barrel is turned on its side (horizontally), a rope grommet can be made into a sling and slipped over a hook to hoist the barrel. If the barrel has to be lifted while remaining upright, the barrel hitch is a special knot that does the job with ease. Most books show only one loop around the center of the barrel, but a second loop will help stabilize the barrel in the upright position.